Shave off precious seconds on the bike! 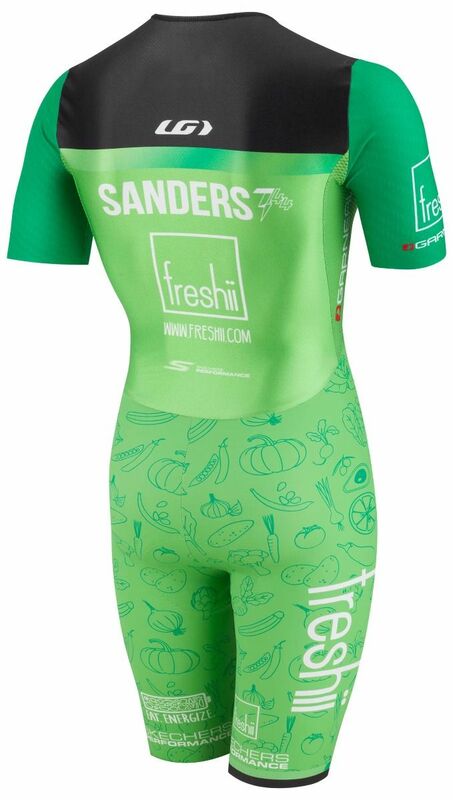 Worn by Lionel Sanders, who beat the world record at IRONMAN Arizona in 2016, this one-piece suit has the all-included package to make you fast! 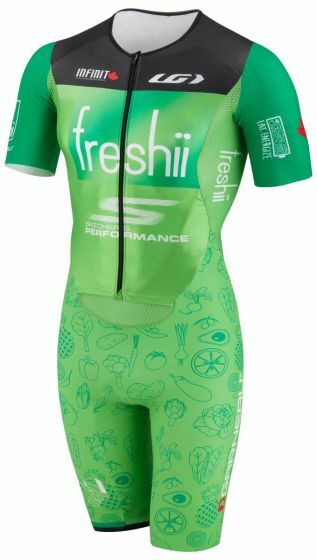 The textured fabric used on the sleeves is THE most aero available, as well as light and breathable. The one-piece technology on the bottom has only one seam and comes with laser finish for a next-to-skin feel. 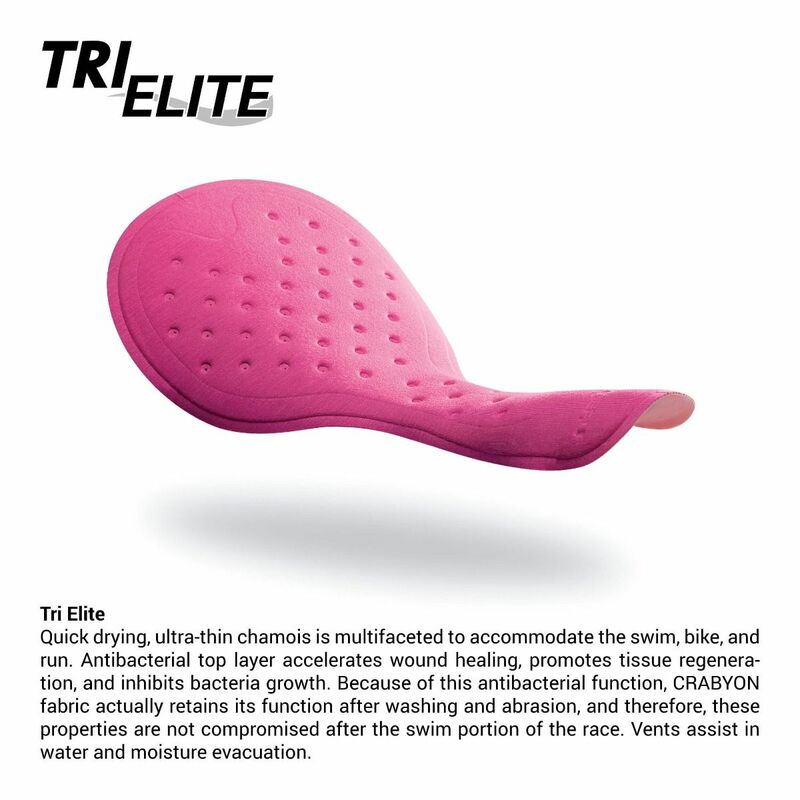 The perforated chamois dries quickly, gives you all the padding you need on longest ride and is so supple you won’t notice it on the run. The front panels were developed to be completely unzipped for the run without flapping and feature 2 extra easy access gel pockets on the belly.